In 2011 I was introduced to using the Ionic Foot Bath as a way to draw out toxins accumulated over time in our body. “We (all living beings on the surface of this planet) live in a very toxic environment. Pollution from making and burning fossil fuels, the petrochemicals being sprayed on the foods we consume and the residual residue from these practices being found in our drinking water and the air we breath are wreaking havoc on peoples health. 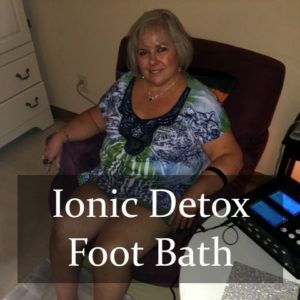 “I am blown away by all the yucky stuff that settles in the foot bath water (including my own) during an Ionic Detox foot bath”. I laugh about it, but most who witness it for themselves are slightly grossed out, and happy those toxins are now out of their body. I offer detox footy baths at Sedona Soul Sisters, and would be delighted to prepare one for you and your loved ones! I am a big fan of making, gifting and selling Orgonite to help people stay grounded, help deflect low-frequency entities, harmonize electro-magnetic frequencies and radiation and to help neutralize the Geo Engineering agenda and the toxic effects of the still in use 19th-century energy technologies that continue to damage our environment. 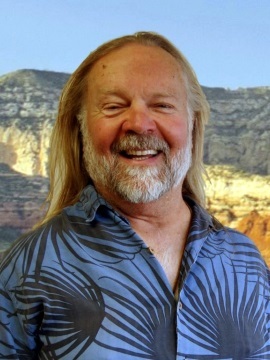 We have Orgonite pieces for sale on the Sedona Soul Sisters website and at our bricks and mortar store (address and directions below).